Adjustable Velcro Knee Cap. Flared Ankle Plates. 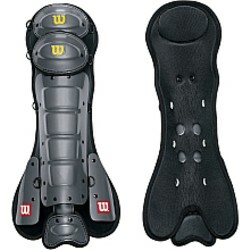 Ribbed Shin Padding For Extra Protection. Charcoal Only. Comes in 13", 15" & 17" Lenghts. Select Size: 13" 15" 17"